The naturally occurring 3α-reduced neurosteroids allopregnanolone and its isomer pregnanolone are among the most potent positive allosteric modulators of γ-aminobutyric acid type A receptors. They play a critical role in the maintenance of physiological GABAergic tone and display a broad spectrum of neuropsychopharmacological properties. We have reviewed existing evidence implicating the relevance of endogenous 3α-reduced neuroactive steroids to depression and to the mechanism of action of antidepressants. A wide range of preclinical and clinical evidence suggesting the antidepressant potential of 3α-reduced neuroactive steroids and a possible involvement of a deficiency and a disequilibrium of neuroactive steroid levels in pathomechanisms underlying the etiology of major depressive disorder have emerged in recent years. Antidepressants elevate 3α-reduced neurosteroid levels in rodent brain, and clinically effective antidepressant pharmacotherapy is associated with normalization of plasma and cerebrospinal fluid (CSF) concentrations of endogenous neuroactive steroids in depressed patients, unveiling a possible contribution of neuroactive steroids to the mechanism of action of antidepressants. 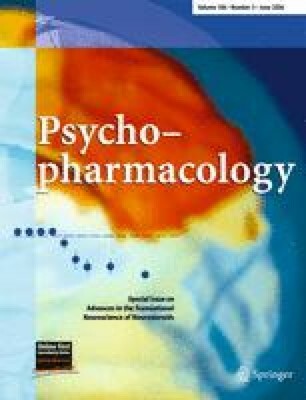 In contrast, recent studies using nonpharmacological antidepressant therapy suggest that changes in plasma neuroactive steroid levels may not be a general mandatory component of clinically effective antidepressant treatment per se, but may reflect distinct properties of pharmacotherapy only. While preclinical studies offer convincing evidence in support of an antidepressant-like effect of 3α-reduced neuroactive steroids in rodent models of depression, current clinical investigations are inconclusive of an involvement of neuroactive steroid deficiency in the pathophysiology of depression. Moreover, clinical evidence is merely suggestive of a role of neuroactive steroids in the mechanism of action of clinically effective antidepressant therapy. Additional clinical studies evaluating the impact of successful pharmacological and nonpharmacological antidepressant therapies on changes in neuroactive steroid levels in both plasma and CSF samples of the same patients are necessary in order to more accurately address the relevance of 3α-reduced neuroactive steroids to major depressive disorder. Finally, proof-of-concept studies with drugs that are known to selectively elevate brain neurosteroid levels may offer a direct assessment of an involvement of neurosteroids in the treatment of depressive symptomatology. We are greatly indebted to Dr. John F. Cryan (Neuroscience Research, Novartis Institutes for BioMedical Research, Novartis Pharma AG) for carefully reading our manuscript and for his helpful suggestions and constructive criticism.